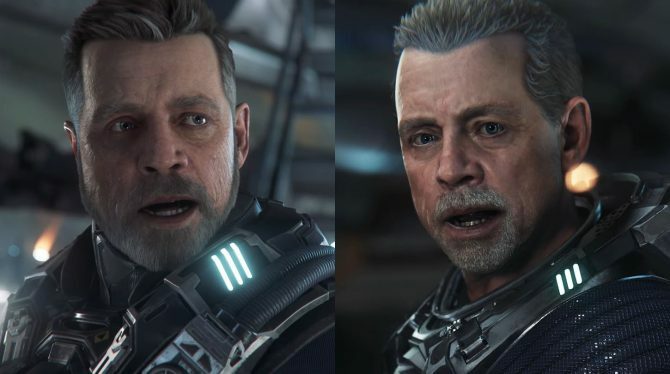 Just in time for Star Wars: The Last Jedi, we see Luke Skywalk… ahem, I mean actor Mark Hamill in another role, that of Lt. Cmdr. 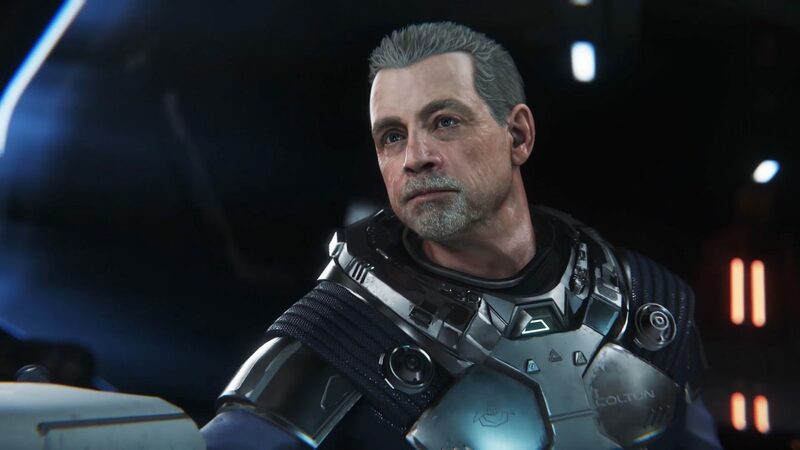 Steve “Old Man” Colton in Star Citizen‘s single-player campaign Squadron 42. Cloud Imperium games released a full cutscene with dialogue options which appears to come straight from the beginning of the game. It’s interesting to see how selecting a dialogue option actually lets us “hear” the character thinking the answer before responding. We also glimpse the fact that the first fighter we’ll fly in the campaign is an Aegis Gladius, and we’ll be stationed on the UEES Stanton, deployed in the Odin system, as Colton’s rookie wingman. The “Old Man” certainly has an edge. The cutscene looks fantastic, and if you don’t get some strong Wing Commander feels from it, you probably never played Wing Commander. 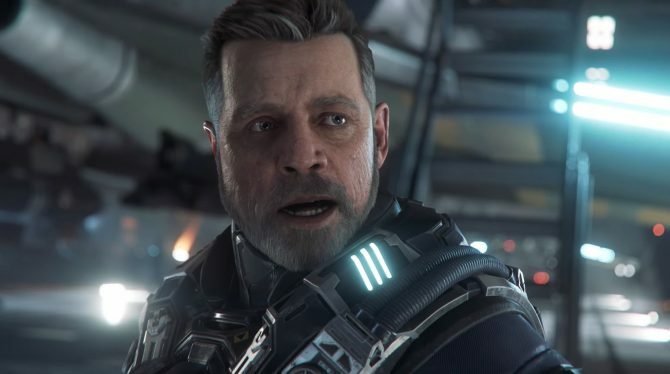 This is just a tease of what will come tomorrow when Squadron 42 is scheduled to get a big reveal, and hopefully, we’ll get to know when we’ll finally be able to fly on the Old Man’s wing. In the meanwhile, you can check out the video below, and a wallpaper at the bottom of the post, showing an Avenger in the rugged Advocacy livery. 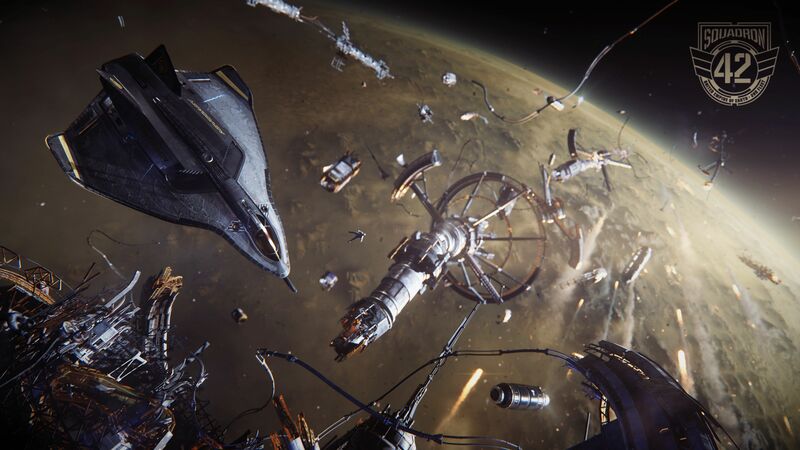 You can also sign up for a newsletter that will bring news about Squadron 42 directly to your mailbox (that’s how you grab the wallpaper, to begin with). 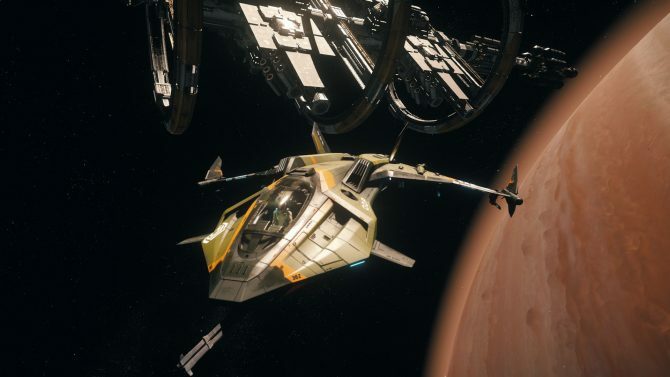 If you want to see more about Star Citizen, you can also enjoy a video on hoverbikes, one on atmospheric flight, and one on the Cutlass Black. For the sake of full disclosure, the author of this post is among Star Citizen‘s original backers.